GPS and GLONASS emerged from the depths of the Cold War to become the world’s leading dual-use (civil/military) GNSS programs in the post-Soviet era. 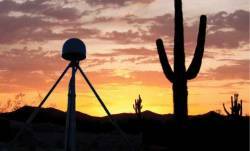 Now renewed tensions between their national sponsors, the United States and Russia, are undercutting a decade-long move toward GNSS cooperation. The United States and Russia initiated bilateral GNSS cooperation in December 2004, with the primary goal of enabling civil interoperability at the user level between GPS and GLONASS. In June 2012 the two nations issued a renewed statement of cooperation in GNSS. A notice posted on the gps.gov website states that as of April 2014, “all U.S.-Russia cooperation in this area is on hold.” That announcement reflects a broader American response to Russia’s seizure of the Crimean peninsula from Ukraine and a subsequent declaration that it was part of the Russian Federation. The U.S. government imposed an end to all communication and collaboration with Russia in space programs with the exception of operations at the International Space Station. In turn, Russian officials announced plans to terminate GPS operations at monitoring stations in that country. More about that later. Shortly before the 2012 bilateral statement of cooperation, Russia had requested that the United States government consider hosting sites of Russia System of Differential Correction and Monitoring (SDCM) on U.S. territory, according to the U.S. State Department. 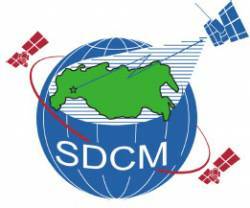 SDCM should not be confused with the ground stations that the Russian Space Agency (Roscosmos) and Ministry of Defense use as part of the GLONASS operational control segment. 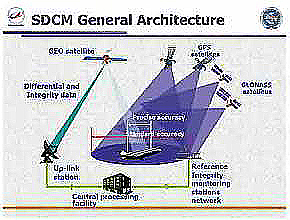 SDCM, however, is a ground- and space-based augmentation system (SBAS) similar to the U.S. Wide Area Augmentation System (WAAS) and the European Geostationary Navigation Overlay Systems (EGNOS), designed to provide integrity alerts and improve positioning accuracy for users, including civil aviation. Some news sources and officials in both countries apparently believe that Russia is seeking to install part of the GLONASS system infrastructure in the United States. The confusion is not surprising, given that the proposal has been something of a moving target. In a presentation to the National Space-Based Positioning, Navigation, and Timing (PNT) Advisory Board last December, Ken Hodgkins, director of the State Department’s Office of Space and Advanced Technology, said that in May 2012 the Russian Federation proposed locating a number of GLONASS civil signal monitoring stations within U.S. territory. Both the Federal Aviation Administration (FAA) and NASA initially expressed interest in acting as hosts. During subsequent meetings with the Russians, the proposal “evolved” further. According to a presentation by Denis Lyskov, deputy head of Roscosmos, at a meeting of the International Committee on GNSS (ICG) last November, the objectives for SDCM include providing a real-time global precise point positioning (PPP) service and generating precise orbit and clock data (real-time and post-processed) from satellites. Unlike WAAS and EGNOS, however, many of the SDCM ground stations track and have been providing data on GPS performances as well as GLONASS. The Global Differential GPS System (GDGPS) network maintained by NASA’s Jet Propulsion Laboratory (JPL) does monitor GLONASS and China’s BeiDou, as well as Europe’s Galileo in the near future, according to GDGPS Director Yoaz Bar-Sever. Both the SDCM and the GDGPS sites contribute data to the International GNSS Service (IGS), a volunteer organization of more than 200 individual agencies and institutions that maintains a global network of monitoring stations and a long-term tracking data archive, offering products derived from the analysis of these measurements. An article in the January/February 2014 issue of Inside GNSS described the Multi-GNSS Experiment (MGEX) launched by the IGS. Hodgkins explained that, in addition to the United States, the Russians have also contacted some 30 other nations. According to minutes of the December meeting, the initial proposal has “evolved” into considering the use of existing sites in the United States, such as those of the IGS. However, State Department officials point out that the Russians have not provided an element that the U.S. side considers essential for establishing a GLONASS monitoring network — a written civil signal performance standard. Discussion at the December PNT advisory board meeting revealed that Russia had also approached Australia with a similar proposal, but the Australians have also experienced difficulty securing a written description of what the Russians required. Reportedly, the view in Australia is that the ICG should “thrash out” the details of what a standard monitoring system should be. In any case, for the time being, the request for U.S. GLONASS monitoring sites is practically moot, following congressional action last December prompted by concern from U.S. military and security officials. Language in the 2014 Defense Authorization Act now requires the president to obtain certification from the secretary of defense and the director of national intelligence before authorizing construction in the United States of a GNSS monitoring station that would be directly or indirectly controlled by a foreign government. That prompted Russian Deputy Prime Minister Dmitri Rogozin to announce late last month that GPS base stations in Russia could not be used for military purposes and would be shut down on September 1 if the United States did not to agree to allow GLONASS monitoring stations on U.S. territory. In fact, the 11 stations to which Rogozin referred are not operated by the United States, but Russian-controlled facilities that are part of the IGS network. The United States does not have any elements of the GPS operational control segment in Russia. The U.S. Air Force, which operates the Global Positioning System, has monitoring stations in Hawaii, Kwajalein Atoll, Ascension Island, Diego Garcia, Colorado Springs, Colorado and Cape Canaveral, and shares National Geospatial-Intelligence Agency (NGA) monitor stations in England, Argentina, Ecuador, Bahrain, Australia and Washington D.C. The GPS Master Control Station is at Schriever Air Force Base, Colorado. Consequently, not only is the Russian gambit unlikely to compel the United States to grant its request for GLONASS monitoring stations, but the closures will probably have the greatest effect on the quality of scientific research conducted in the regions around the Russian sites. "As director of the [IGS] Central Bureau I feel that [the closure of the Russian monitoring stations] is most unfortunate," Ruth Neilan told Inside GNSS recently. “We appreciate the Russian contribution. 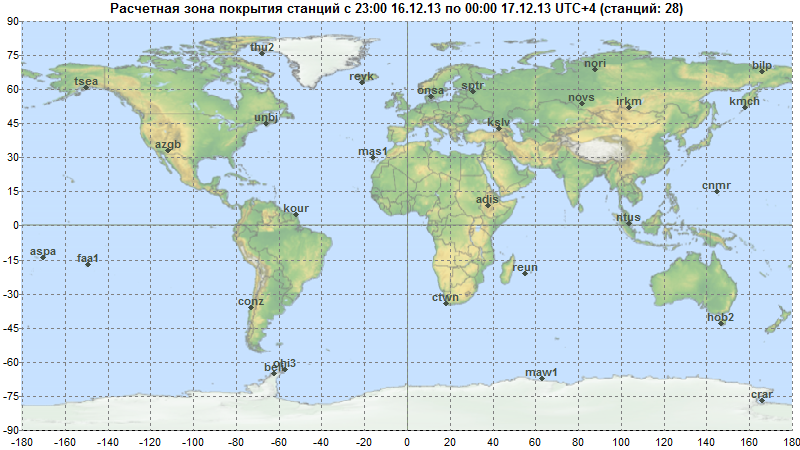 In truth, this GLONASS data is probably more valuable to Russia as part of the overall global network. While I regret the stations are not there — and we don’t know if they’ll be returned to operations — we have a very healthy, GLONASS-capable global tracking network within the IGS and we will continue to operate that and generate GLONASS products." Reportedly, Russia has since begun providing postprocessed, but not real-time data from the 11 monitoring stations. However, a State Department official told Inside GNSS this week, “We are not currently engaged with Russia in any bilateral negotiation regarding placement of GLONASS monitoring stations in the United States,” adding that the agency was “still willing to discuss the subject within multilateral forums.” The latter forums include most prominently the UN-sponsored ICG, where the United States and Russia co-chair Working Group A on Compatibility and Interoperability, as well as the IGS.